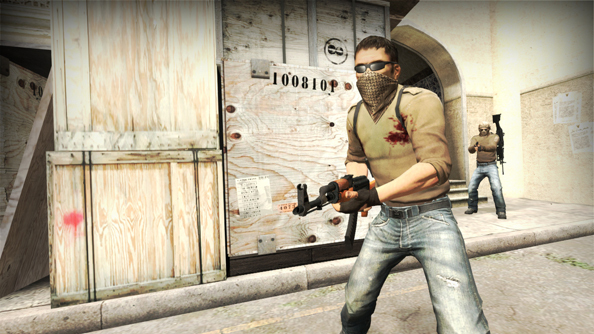 It’s common knowledge that Counter-Strike: Global Offensive has a cheating problem. It’s hard to go a week without hearing reports of another wave of automated VAC bans, and you can only imagine how many have yet to be detected. Cheating does tend to happen less at the professional level, although a spate of bans during recent ELeague qualifier matches proved there are exceptions to every rule. Don’t cheat. Please. Just read our hints and tips on improving your CS:GO game. In the clip above (credit to hesoyam on Youtube), you can see player sodaH making a rather questionable shot after seeming to perfectly track the movement of his target through a solid wall and a cloud of smoke. Later in the match, he is unceremoniously banned for cheating, leaving his team a man down and a dollar short. Not exactly the best way to end your shot at the big leagues. If only this was the first and last report of cheating during the qualifiers, it would be bad enough, but there have been several other bans issued, and plenty of reports of unusual player behaviour otherwise. Tournament managers CEVO have officially disqualified sodaH’s team PlanetenOG, although the team doubled downbragging about cheating during anothermatch. Beyond this, there have been multiple allegations of cheating and at least one more mid-match ban. Those claims are going to carry a lot more weight after incidents like these. While the built-in anti cheat systems in the game are catching some of this bad behavior, there’s clearly plenty of work for Valve still to do. It should be noted that these are open qualifiers, and as such almost anyone can get involved, but it’s still stunning that cheaters would even try to pull this off in front of a live audience and a panel of eagle-eyed commentators. Whether spurred by bravery or stupidity, it at least makes for some memorable viewing.